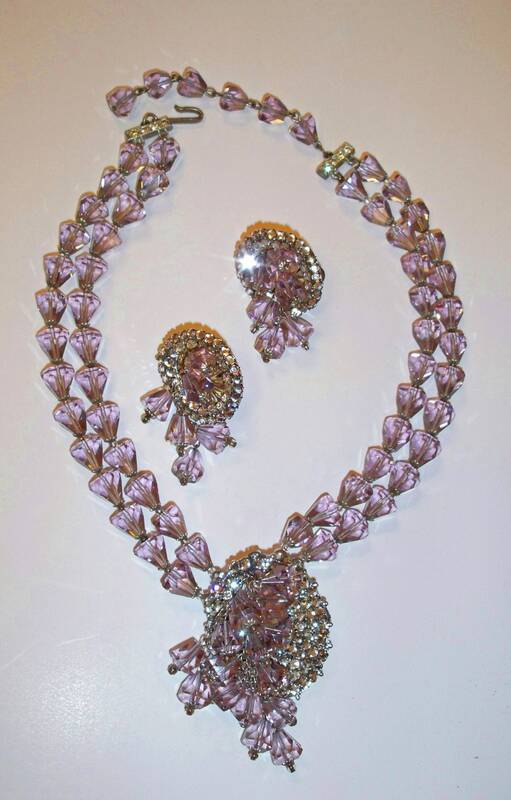 This unusual set is vintage circa late1950s. It is unsigned by the maker but looks very much like a Miriam Haskell or DeRosa. 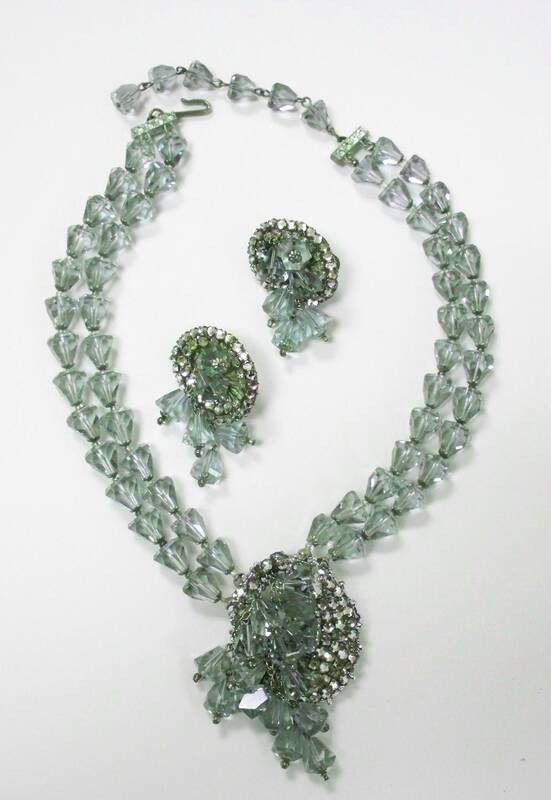 The glass bead part of the set is cut and faceted into a bell like shape and the color is like nothing else I have seen. It looks lavender with a slight green cast in some lights and a grey cast in others, the pictures will show the variety of colors in this set. 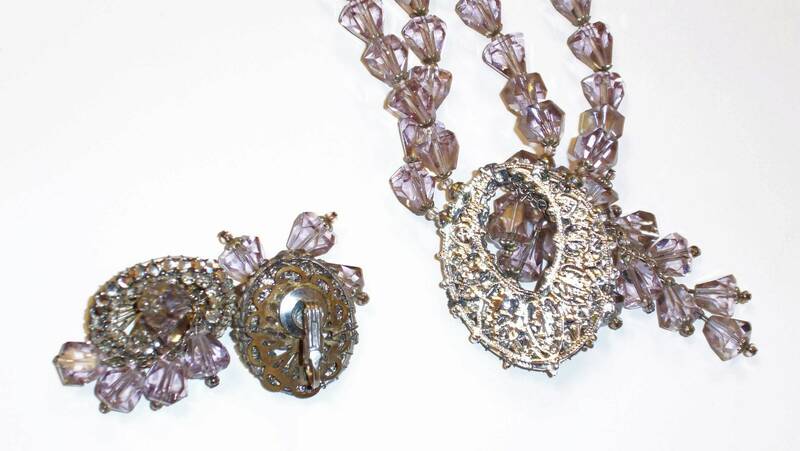 The center piece of the necklace has prong set, hand wired clear rhinestones and the earrings have this all around the outer edge. The metal is silver colored. The necklace is a choker style and measures 13 inches at the shortest and 16 inches at the longest. The double strand of beads are 5/8 inches wide and the center piece measures 2 1/4 x 1 1/4 inches including the hanging bits. The earrings are clip backs and they measure 1 1/2 x 7/8 of an inch including the hanging bits. The set is in very good condition.